Please tell us a little about your professional & academic background. Also please give us a little clarity on your role in your current organization? I did my Bachelors in Computer Applications from BIT Ranchi and then took a year off to prepare for CAT. I cracked IMT Ghaziabad in 2005 and decided to specialize in Marketing & IT. From campus, I got selected by Bharti Airtel Ltd. – the 4th largest telecommunication company in the world for their Young Leader program. What followed was a long and exciting 7 yrs of working on one of the most coveted & admired brands of the country. I started with a brief stint in customer services where I came to understand & appreciate the importance of retaining & delighting customers. I then moved to the Consumer Insights & Market Research team and interned there for the next 6 months. It was an excellent opportunity and I learnt to implement various quantitative & qualitative tools, devise & administer product & communication tests as well as be part of some bigger strategic projects like customer segmentation & U&A studies. At the end of 1 yr, I was offered to stay back in research but by then I had become fascinated with Brand Marketing and wanted to work in that area. My first stint was as an Assistant Brand Manager for mobile services and I was responsible for Trade Marketing & Below the line advertising for the Brand. For the next 2 yrs, I learnt how to translate core value propositions into consumer benefits & communicate them in the Brand language. I also learnt how to design retailer engagement programs, do in mall & in store promotions as well as design & run rural promotions for haats & mandis. I then moved on to the role of Brand Manager for Airtel digital TV (the DTH brand). The category was in its nascent stage at that time and I got the opportunity to do extensive consumer work to understand the category – its key drivers, triggers & barriers, profiling the TG as well as studying competition to understand their brand positioning. Armed with all this analysis, I went on to define the positioning & communication road-map of the brand for the next 2 years. Some of the memorable campaigns from that period are the Saif – Kareena series, and the regional content campaign. My 3rd & last stint in Airtel was as Senior Brand Manager – mobile services. I joined at a time when the brand was going through a relaunch in India SE Asia & Africa. I worked closely with the top management and brand consultants to arrive at a new brand identity. It was a massive exercise and helped me learn & put into practice every nuance of brand building right from evaluating the current brand equity to defining the brand charter including its vision, mission & values and architecture. Another key highlight of my stint was the thematic campaign – Har Friend Zaroori Hai yaar which was one of the most loved & shared campaigns for Airtel. The campaign went viral & a lot of user content was generated around it. The brand track became so popular that it became the most downloaded Hello Tune of all times. Having spent close to 7 yrs working on Brand Airtel, I decided I was ready for my next challenge and that’s exactly when Flipkart happened. My role at Flipkart is more of a marketing role than being pure play brand. Here, I am not only responsible for creating compelling communication but also planning media, digital & research interventions for the assigned categories. I am responsible for new customer acquisitions as well as getting incremental revenue for my categories. 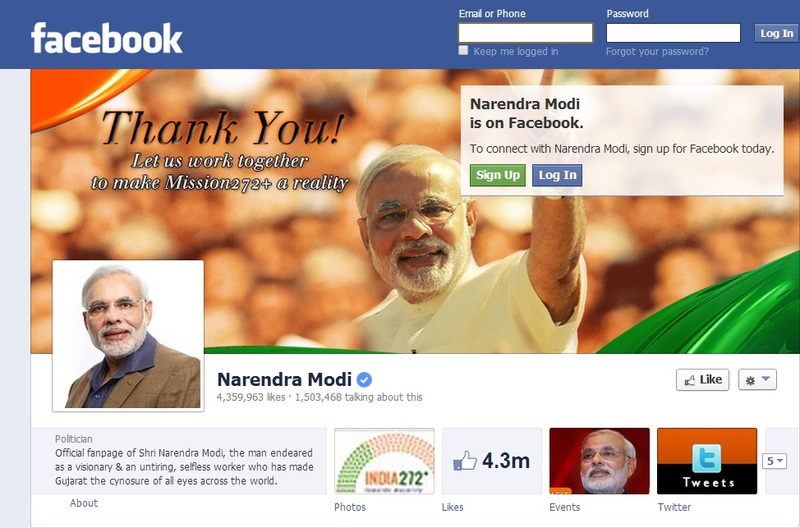 The Narendra Modi election campaign is THE campaign of the year. Very few campaigns cut across socio-economic classes and manage to create a universal appeal. The innovative use of media, both traditional & digital, the kind & number of conversations created on twitter and other social media platforms & finally the stellar results it has delivered, all make it by far the most successful campaign we have witnessed in recent times. Some of the other campaigns that I have liked are – P&G’s Thank You mom, Google’s reunion & Lifebuoy’s – Help a child reach 5. I also like Coca Cola’s advertising & how they manage to bring alive their core proposition of “happiness” with every intervention they do. To be relevant, a brand needs to connect with the consumer at an emotional level. Once the brand decides what emotions it wants to evoke, it must use every opportunity & consumer touch point to evoke those emotions. At Airtel, we understood the importance of consistency and thus a lot of thought & effort went into customizing communication for all touch points whether it was a small real estate like a 25 character end call notification or a welcome message, an outbound dialer or a recharge card, an EDM or a call centre script, office stationary or a customer bill, own store designs or in store collateral’s. Everything from the choice of words to the tone of voice, the kind of visuals to the use of colors was carefully chosen & documented in the Brand Bible. Extensive training was given to all customer facing teams like Call center executives, front line sales guys, franchises and most importantly to our own employees to make all stakeholders understand, appreciate & communicate in the brand language. It is only when customers hear the same message on every touch point that the brand promise & values come to life. A brand character definitely helps to build brand recall. In today’s cluttered world, where multiple things are competing for attention, having a recognizable brand character can go a long way in increasing branded cut through. It can also lend desirable attributes to the brand and make it more adorable, funny or relatable. The Vodafone ZooZoos & pug, Ronald McDonald, the Duracell Bunny & the Pillsbury Doughboy are some good brand characters that instantly come to my mind. Having said that, a sound track or a unique execution style can also be a signature brand character. For e.g. Airtel’s A R Rahman signature tune & the Har Friend Zaroori Hai brand song have played an important role in not only increasing branded cut through but also delivering on emotions that the brand wishes to evoke. What measures do you take to ensure a better brand positioning vis-à-vis your competitors? Can you cite one such example? While crafting a positioning for Airtel digital TV, we realized that Dish being the first mover in the category stood for leadership & trust while the other key player Tata Sky stood for “Innovation, Education & Relatability”. If Airtel digital TV would have decided to own any of the above attributes, it would have come across as a “me too” brand. We did extensive work with consumers to understand what role TV plays in their lives. Our positioning came from the insight that TV has the power of lifting people out of their mundane lives and transporting them in an imaginary world, a world that is more fascinating than reality. The positioning of “Bring home the magic with Airtel digital TV” was thus born. We decided to position ourselves as aspirational, a brand people will admire & want to own because it holds promise of a better magical world. The communication style, the use of celebrities, the color palette, the packaging designs, the program guide & EPG screens, retail collateral’s, micro-site and every other touch-point was designed to communicate & reinforce this positioning.